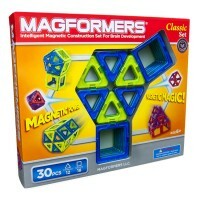 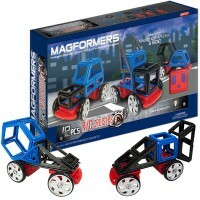 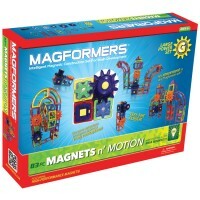 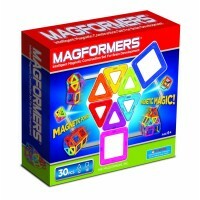 This Magformers 30 pc construction set features girls favorite colors and innovative ideas for magnetic building! 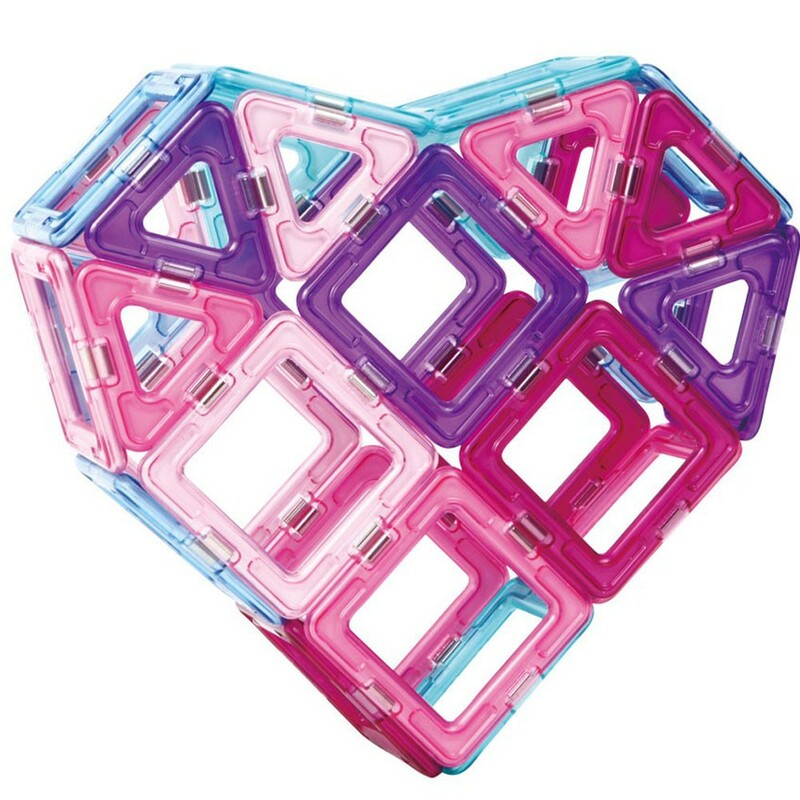 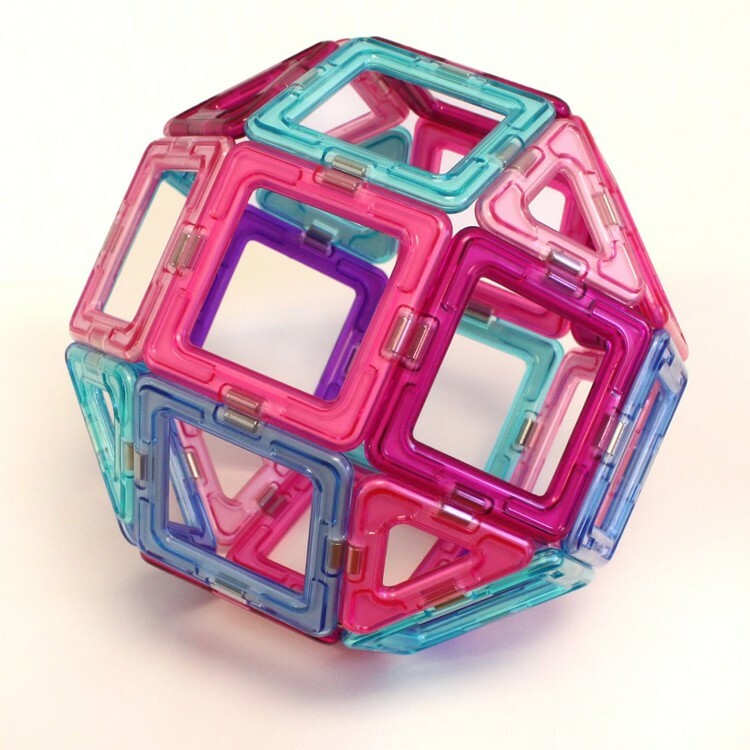 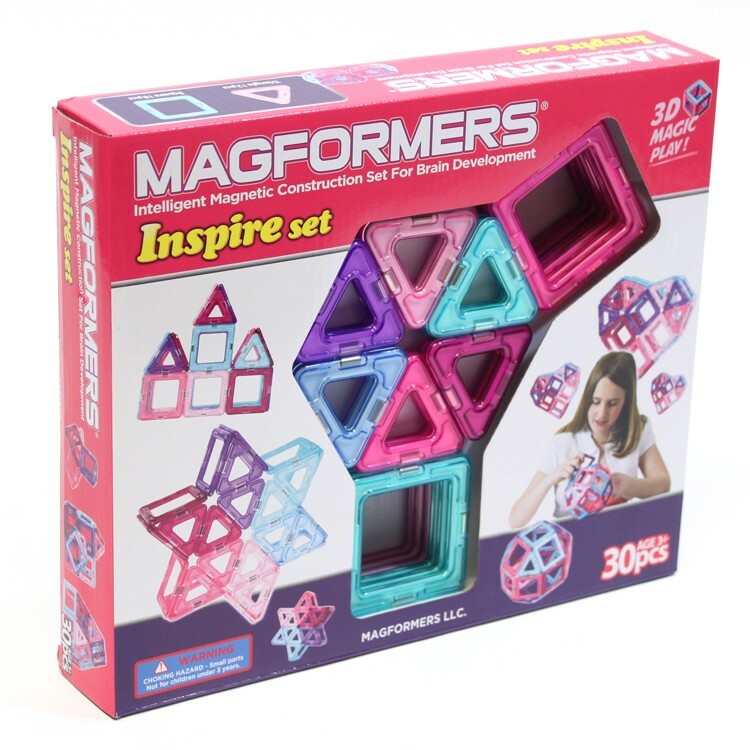 Pink and other girls favorite colors will surely inspire girls to build some cool magnetic constructions with this Magformers toy. 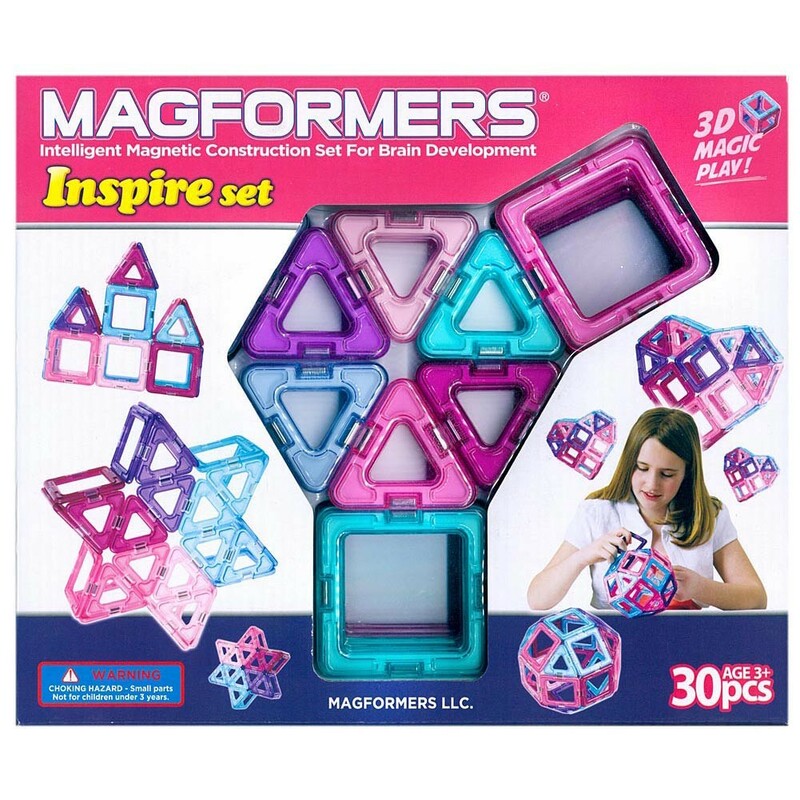 Magformers Inspire 30 pc Magnetic Building Set for Girls brings pastel colors, and 30 magnetic squares and triangles that girls can transform into anything they can imagine. 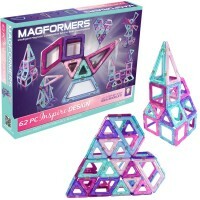 Put together 3D heart, or a princess castle, or a star, or a sphere, and much more! 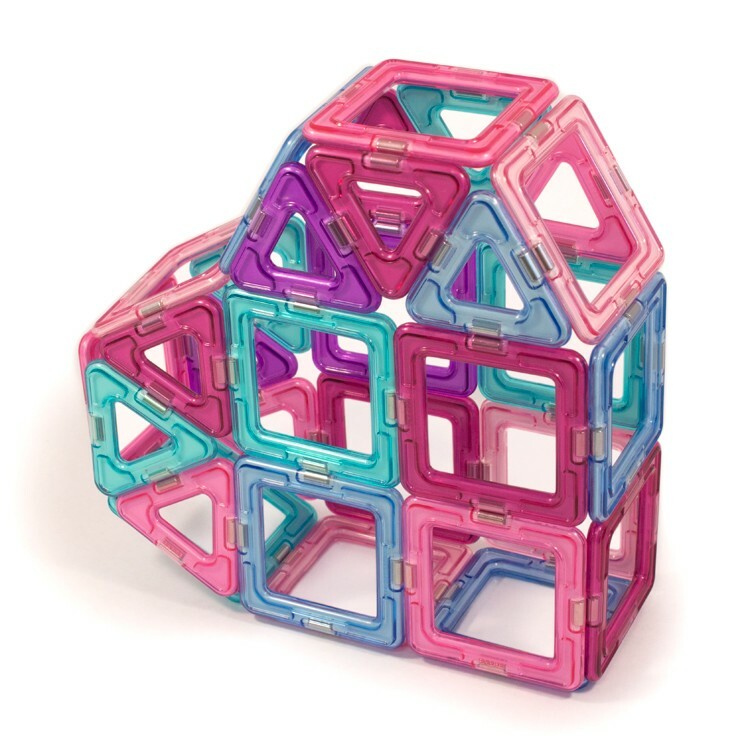 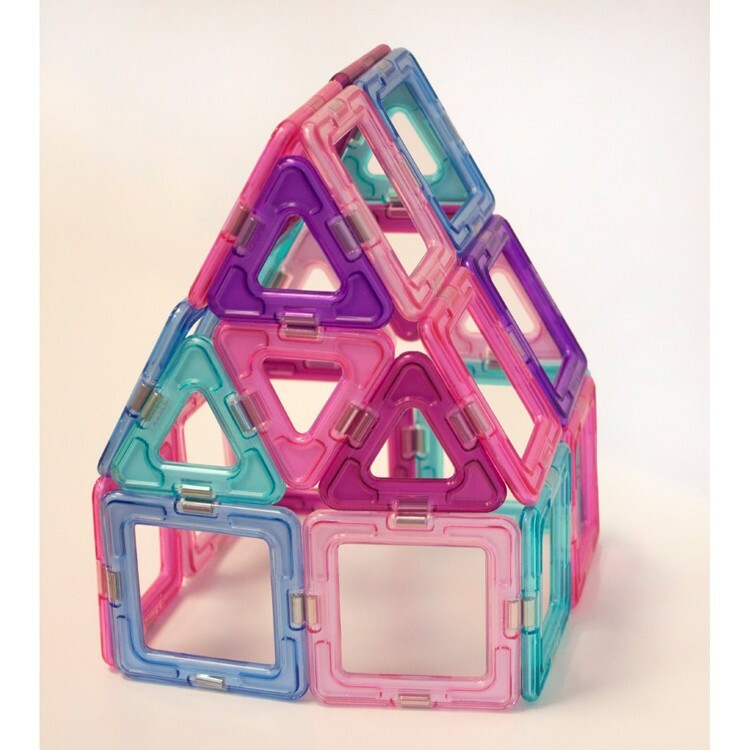 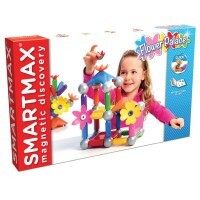 Use the building ideas from the enclosed booklet, or design your own magnetic forms with this open-ended building toy from Educational Toys Planet. 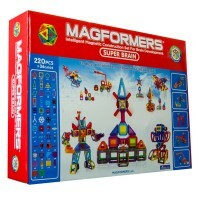 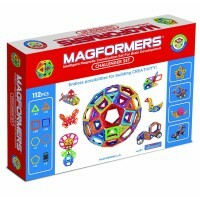 Magformers Inspire 30 pc Magnetic Building Set for Girls is made of the highest quality plastic and conforms with all US toy industry safety standards. 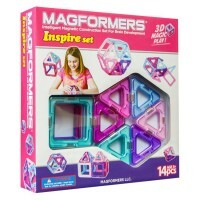 Dimensions of package 0.115" x 0.095" x 0.02"
Write your own review of Magformers Inspire 30 pc Magnetic Building Set for Girls.